Recent studies conducted reveal that out of the millions of tonnes of waste generated throughout the United States annually a large percentage is improperly disposed. Unfortunately this practice has been identified as one of the main causes of pollution and is becoming a growing concern for both government and environmentalist as it poses serious threats to health and the environment. So to manage this authorities have implemented strict waste management regulations and heavy penalties to violators in order to enforce and promote safe waste disposal practices throughout the country. Soil, water and air pollution can all be a result of improper waste disposal and occurs when either of them becomes contaminated with hazardous materials. Not only does this contribute to the creation of a greenhouse gas effects but also causes significant harm to marine and wildlife. Apart from this improper waste disposal can also have adverse health effects on humans as over the years it has been responsible for causing several diseases and in some cases even death. For instance when water is contaminated with foreign substances, like harmful pathogens, toxic chemicals or medical waste its chemical composition changes making it harmful to use. Diseases like Cholera, Dysentery and leptospirosis are known to be spread through contaminated water and can cause serious health epidemics in a population. Another example of the dangerous effects of improper waste disposal is soil contamination which occurs when hazardous chemicals come into contact with the soil. These chemicals are absorbed by plants which are later utilized by other other organisms including humans which as a result can cause disease or even death. Improper waste disposal can also interfere with the food supply as plant growth is impaired reducing the amount of food produced . With the amount of waste generated annually steadily increasing it is becoming more and more challenging for government to monitor and manage waste disposal throughout the country. Therefore it is the responsibility of citizens to not only carry out safe, eco friendly, waste disposal practices but to encourage others around them to do the same. Energy conservation and recycling are also great ways to eliminate improper waste disposal and keep the environment safe. 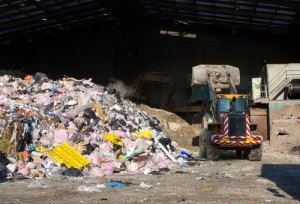 So given all the negative effects highlighted due to improper waste disposal persons should be particularly careful to promote and exercise all the necessary practices to ensure they do the right thing and if by chance you do find yourself with certain types of waste that can’t be discarded with your regular trash you can contact a waste removal service to come in and remove it for you. Here at Junk King we specialize in the removal of all types of waste where no task is too big or too small for us to manage. Remember we also transport and process your waste with no additional or hidden fees. Benefit from our top rated and professional services with little or no hassle to you. Whether you have a specific set of items, medical waste, E-waste or just general trash our services serve to facilitate safe, efficient and professional waste removal commercially or residentially. These services play a crucial role in our lives as they aim and assist in keeping the environment clean and the general population safe. To get your waste removed visit our website at www.junk-king.com to book online or call us at 1-888-888-JUNK to schedule an appointment right away. This entry was posted in Hazardous Waste, junk removal, junk removal marin and tagged junk hauling, junk hauling companies, junk removal on August 9, 2017 by Julian Torres, "JT". Last updated August 20, 2017 .